City of God by John Martin (1850). Aeromunculus by Simon Dominic. Every Sunday morning I write about the games I’ve been playing on the old blog site where Commanderruminations originated. I spent a year blogging about all sorts of things Commander-related prior to my writing moving over to CoolStuffInc.com. Now I write a weekly rundown of how my games have been going. It’s great practice to keep constantly working on becoming a better writer, and I hope that it gives my readers some insight into me as a player. I blog about both my Commander League games and my casual night Commander games and on a recent week I had a game that I really didn’t want to write about. I scooped out of a game. I didn’t concede in response to an overwhelming boardstate and a lack of answers and I certainly didn’t scoop in response to an attack to try to deny an opponent their lifelink triggers. I would never stoop that low and you shouldn’t play with anyone who engages in that kind of petty, “strategic” scooping. Still, I did scoop and in retrospect I felt slightly ashamed for having done so. Only slightly, but the experience inspired me to write about that game - not in my usual Sunday morning blog but here as a full article. I had won a game earlier in the night playing Nikya of the Old Ways, and had followed that game up with a decent Haunt of Hightower game. I can get a little cranky when I’m in the middle of a long losing streak, but that wasn’t the case. I might have had a long day at work but I hesitate to use that as an excuse. Lots of people have long days at work and play games of Commander without scooping. I was playing my partners deck led by Ishai, Ojutai Dragonspeaker and Reyhan, Last of the Abzan. It’s a build that is designed to really crank out the +1/+1 counters and has a copy of Simic Ascendancy in it as an alternate wincon. The game started pretty well. I was able to get out an early Atraxa, Praetors' Voice. One of my opponents was playing Kalemne and was throwing around some significant early damage, to the point where he was able to kill the player across from me. I had been able to get my commanders out and had also played an Archangel of Thune. My issues started when it became clear that I was missing my Atraxa proliferate triggers at the end of my turns. The player to my right reminded me once and then commented that he wasn’t going to remind me again. I hadn’t asked him to remind me but the bottom line was that I wasn’t used to having an Atraxa on the board and shouldn’t have been missing those triggers. Once the player opposite me was out of the game, he started paying pretty close attention to my board for some reason - and started pointing out all the triggers he thought I was missing. Some of them were accurate, some were ones he just announced before I got around to catching them, and none of it was appreciated. I had Ishai out, which meant that I had to put a +1/+1 counter on her every time an opponent cast a spell. With Archangel of Thune out, I got to put a +1/+1 counter on each of my creatures every time I gained life. She and Atraxa have lifelink, so that was going to happen a lot. With Atraxa out, I also had the end step proliferate to make sure to remember. WIth Reyhan out, if a creature under my control died, I could put their +1/+1 counters onto another creature. When the player across from me who was out of the game started jumping at the chance to fix my dice and point out my triggers before I could get around to doing them myself, it started to really get on my nerves. 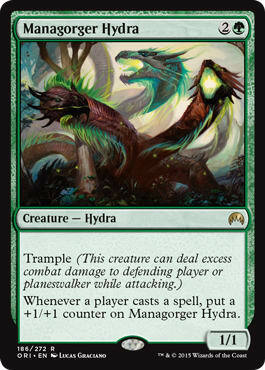 I already felt stupid for missing those end-step Atraxa proliferate triggers. He wasn’t helping matters when he started policing my board, presumably trying to “help”. When my Archangel of Thune died and I put it in the graveyard and didn’t immediately remember the Reyhan trigger, he eagerly pointed out that miss as well. Don’t get me wrong. I know I’m not stupid, but I had had a long day, it was already past time when I should probably have packed up for the night, and he was definitely making me feel stupid for missing (or being slower than him to catch) all of those triggers. I was no longer having fun. In his defense, my overly intrusive opponent was probably genuinely trying to help. I’m sure he thought he was doing me a favor by trying to keep me on track and help me to present the best board and the best game possible. I was already expecting to lose because of who I was playing against - some really capable local players who always seem to have answers for any shenanigans I try to get away with. This was not a table of creme puffs, even if they were far from being on their best decks. Clearly irritated, I scooped out of the game. It was on my turn, and it was already getting a little late for me, but I still felt bad about it. I wished the guys a good night and gathered up my stuff, but that night I didn’t sleep well. I found myself staring at the ceiling thinking about what went wrong. In retrospect I think it boiled down to a basic conflict between two key aspects about how I personally like to play Commander. The first thing to know is that I build and play decks because I want to experience every nook and cranny of this amazing format. I want to win or at least play games with every possible type of deck. There are certain decks I like but I really, really enjoy the thrill of building and trying out something new. Sometimes those new builds are incredibly mediocre and sometimes it takes them forever to actually win a game, but that variety is still a huge part of the enjoyment I get out of the game. The second thing to know is that I really don’t enjoy having to be hyper-focused on every single interaction in the game. That feels like I’m basically admitting to being a bad Magic player, but it’s the truth. I like to have side conversations. I spend way too much time looking at my hand and trying to remember what the heck is in my deck if I haven’t played it in weeks or months. In our Commander League I spend an inordinate amount of time in round two dealing with players handing in sheets if other games end before my game is over. I’m not a constantly distracted space case with the attention span of a…. SQUIRREL!... sorry, where was I? The bottom line is that my desire to play every type of deck led me into this situation. I was playing a deck that pretty much required diligence, a decent amount of practice and my full attention. I was not up to the challenge, and felt slightly embarrassed by my failure to be able to pilot it properly and even more embarrassed at having gotten flustered and annoyed enough to scoop out of a game and head home. The takeaway from this game wasn’t that I’m an idiot - though like anyone I do have my moments. It also wasn’t that I should never play that deck again, though I did take it apart only a few days later and have no regrets about doing so. The takeaway is that it’s important to learn what you love about Commander and to do your best to build decks that play into those preferences rather than playing against them. I don’t like being hyper-focused on every single interaction in a game. I don’t like having tons of triggers I have to make sure I don’t miss. I like surprises. I enjoy not knowing what’s going to happen. I love having the potential for my deck to be able to make powerful plays. I like having a level of built-in protection for my more important permanents. I also like playing decks that don’t elicit groans from my opponents when I tell them what I’m going to be playing. Every time I have a deck fail me, or just leave me feeling like I don’t want to play it any longer, I do my best to turn the experience into something positive. More often than not that means building a new deck with some of the key pieces from the old deck. For a long time I had been meaning to build Hallar, the Firefletcher. I am occasionally reminded of Hallar when I listen to Commandercast. Host Mark Mahler occasionally comments that he has also been planning on building the deck. I wrote a column about Hallar last year and while I never got around to building it in paper, both Mark and I apparently keep thinking about it. Over the next few days I set about building a couple of new projects. One was Hallar. I hit the local game store and picked up a big pile of cheap, old Kicker cards that would fit in nicely. I scavenged through my collection and was able to throw together what turned out to be a very capable deck that actually wound up winning its first THREE games! They were causal games, because Hallar probably won’t ever be anything more than a casual deck, but it made me really happy to be able to put together a new list and see it do well right out of the gate. I also circled back to an old guilty pleasure that I had taken apart after a few too many bad games. I built a new Narset, Enlightened Master deck. Yes. I know. On some level that probably makes me a bad person, but hear me out. Remember that list of things I really enjoy in Commander? I like surprises. Not the “whoops - I don’t have an answer and now the game is over” kind of surprise, but rather the kind where something good might happen in my game. I love Narset flops. When I attack and I get to cast spells from the top of my deck, I love the feeling of not knowing what I’m going to flop into. I especially love when I flop into something great. I like having the potential to make powerful plays. Any Narset deck worth its salt is going to have something stupidly powerful to be able to flop into. Casting an 8, 9 or 10 mana spell for free never gets old. It doesn’t even have to be game-ending, but it always feels like I’ve done something meaningful. I like having built-in protection. Narset’s native hexproof has long been one of my favorite things about her. You don’t need to tutor up some aura or equip Swiftfoot Boots. You can just play her and not have to worry about targeted removal. Last but not least, I like playing decks that don’t elicit groans (or exasperated sighs) from my opponents before the game has even begun. Well, three out of four ain’t bad, right? To help with the latter part, and to try to make the deck a bit more palatable for casual play, I decided to do something a bit out of the ordinary. I rebuilt my Narset deck with zero extra turn spells or extra combat step spells. My theory is that the fear of her swinging and looping into extra turns and combats until the game is over is the biggest concern for my friends. I don’t want my Narset deck to be unplayable on casual night. I want her to be strong but not loathed and reviled like an optimized Narset Turns & Combats deck. I’ve set this list up to try to scale to the level of the table I’m playing at by playing a bunch of mind control spells. I didn’t include any Red Act of Treason effects because if I hit those off of a Narset attack I won’t be able to use those creatures to attack with and they’ll just return to my opponent at the end of the turn. As a result, the deck is more heavily weighted away from Red than any Narset deck I’ve ever built. I am running a half dozen creatures or so. That isn’t a great plan in a Narset deck but I don’t want to have to depend solely upon mind control effects to create a boardstate. A decent number of cards in this deck came out of a Yennett, Cryptic Sovereign deck that I found I wasn’t playing often enough, so there’s a lot more topdeck manipulation in here. All those ways to peek at and manipulate the top of our deck led me to throw Etali, Primal Surge and Djinn of Wishes into the mix. In the long run I expect the list may evolve toward a tokens strategy and could eventually turn into a Purphoros goblin tokens build. I think stealing opponents’ commanders and best creatures off of a lucky Narset flop may eventually be seen as not being very friendly or “casual”. It’s worth noting that I’ve included way more “pet” cards than I would normally include. I’m looking at you, Dragon cycle. I don’t know why, but I’ve always loved those odd old auras that automatically attach themselves out of the graveyard to CMC 6 or greater creatures as they enter the battlefield. The mana base isn’t anywhere near where it was when I pulled apart my much more competitive Narset Turns list but I’ll work to get it back to that state over time. I don’t yet know if this list is going to be fun, casual enough to be playable in our Tuesday night games, but also strong enough to win its fair share of games. Your mission, should you choose to accept it, is pretty simple. Think about what you love about Magic when you build your decks. Try not to make the mistake I made when in my quest to explore every nook and cranny of this wonderful format, I set myself up to play the single worst deck for the way I like to experience the game. When you build decks, think about what you enjoy about Magic and try to build a deck that plays to those preferences. That level of planning and introspection isn’t going to guarantee that you’re going to enjoy every game you play with that deck, but it’s a way to set yourself up for success. If you don’t like being attacked in the early game, add some pillowfort enchantments, early creatures or maybe some deathtouch blockers. If you don’t like getting overrun when someone else blows up their board and creates a huge army, run more boardwipes, Propaganda effects and fogs. If you don’t like feeling powerless when someone sets up and executes a combo to win the game out of nowhere, run more instant speed removal and learn how to use those spells effectively. 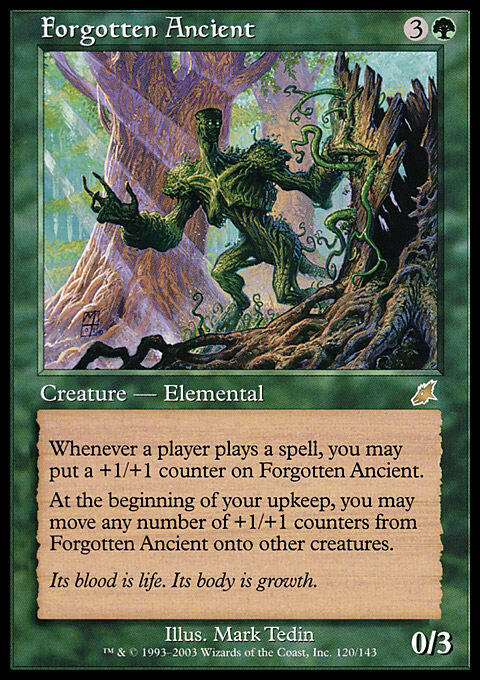 If you’re like me and you don’t like missing triggers and having to hyper-focus on every single thing your opponents do during their turns, don’t play cards that trigger based on what your opponents are doing. 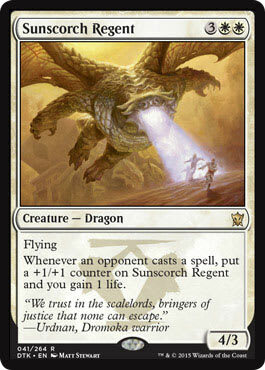 Managorger Hydra, Sunscorch Regent, Forgotten Ancient, and Ishai, Ojutai Dragonspeaker all require you to play close attention to your opponents spells. If you run those cards, be aware of what you’re setting yourself up for. They are powerful, but require a level of attention that I’m not always in the mood for when I play Commander. Even if you think I’m crazy to want to make a Narset deck that is casual enough to play at less strong tables, I hope I’ve gotten you to think a little about what you love about Commander and how you can try to build your next deck with a eye for what will make it as fun as possible. This might not seem like rocket science, but I build a lot of decks and I somehow missed that key point when I built my Ishai & Reyhan partners deck. I don’t regret building it and playing it but in retrospect I wish I had thought more carefully about not setting myself up for the kind of game that I wound up scooping out of. If you’re one of those players who loves having a million triggers to have to track, you have my genuine respect. I don’t know how you do it and I’ll readily admit that there are many reasons you’ll probably never see me on the Pro Tour. Not the least of which is that in my heart of hearts I’m a filthy casual who cares as much about my opponent’s fun as I care about my own. Consider yourself invited to come check out my weekly rundown of how my games have been going. I actually play many of the decks I write about, and while I don’t go into a play-by-play detail I do my best to keep each game recap accurate and entertaining.